I've been reading books in pairs lately. First, two verse novels, and now, two creeptastic ones! The great news is, they've all been superb, and you should totally read them. I've only read Johnson's SUITE SCARLETT novels (which I really enjoyed), but this was an experience of its own. Modern-day Jack the Ripper, a Southern girl at a London boarding school, plus a cute boy and secret ghost police? Sign me up! THE NAME OF THE STAR was entertaining and thoroughly creepy. I love the world that Johnson created, especially how she layered the supernatural elements with the oh-so-normal stuff, and Rory Deveaux is a main character I wouldn't mind reading more of -- which is great news, because this is book one of the Shades of London series. Can I tell you how creeped out I was with the Ripper-esque murders? A lot. I'm not the horror movie type, but I couldn't say no to some MJ, and her writing gave me the shivers more than once. (I hope this leads to more horror-angled YA paranormals.) The bad guy was a capital-letter-earning, genuine Villain, with all the evilness you want and the complexities you appreciate -- which made the tension-filled moments all the more tense, because PEOPLE COULD DIE, FOR REAL. An aside about the romance -- supremely cute, and it never outshone the main plot, which I loved. Just enough of the smooches to keep me happy! And I love how Rory coped with new-girl-at-boarding-school syndrome. Overall, the Jack the Ripper mystery kept me flipping the pages (the pacing is steady and ups the suspense delightfully, which is important for a 300+ page book), but Johnson's trademark humor and nuanced, I-want-to-be-your-friend characters have me hooked for the next installment! * A huge thanks to Penguin Young Readers Group for providing the ARC at BEA! 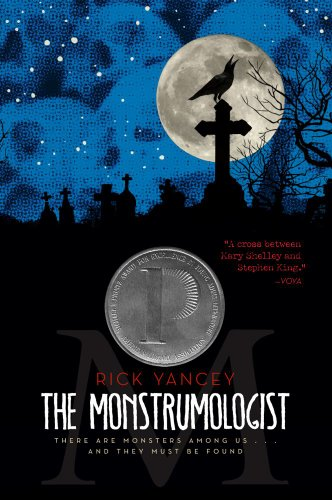 THE MONSTRUMOLOGIST was unlike anything I've read in a very long time. Maybe ever. The voice is brilliant and engaging, and the characters just shine. I'd seen this one around the blogosphere, but it was Maggie Stiefvater's ridiculously awesome review that convinced me to check out the audiobook. In Maggie's words, "this one is about a rather particular Monstrumologist and his apprentice chasing headless man-eating monsters across Victorian New England." This is not a plot that generally would pique my interest (where iz mah romance?! ), but my curiosity got the best of me. How glad I am that it did. The book's narrated by the monstrumologist's apprentice, Will Henry, a twelve-year-old orphan. I love him to pieces. And the monstrumologist for whom the book is named, Dr. Pellinore Warthrop, is (as Maggie again put it so perfectly) "high-maintenance and flawed and persnickety." And I love him to pieces. He makes me want to say "Snap to, Will Henry!" at least once a day. And eat scones. My favorite character by far is Jack Kearns--a fellow monstrumologist with highly questionable morals who finds pretty much everything amusing. His wit and irreverence made me laugh aloud many, many times in the book, despite some of the horrifying things he does. As a writer, I couldn't help but think that Jack Kearns must've been a blast to write, being so entertainingly villainous. I loved this Kearns quote so much that I scribbled it down at a red light (I listened to the audiobook version, which was excellently narrated, BTW). Anyway, with every single line of this book, you can see the care and love and attention to detail that Rick Yancey put into it. The fine print: Be warned, the book can be very gruesome, and the descriptions are lengthy and wholeheartedly detailed. I cringed more than a couple times throughout -- after all, it's about hunting down Anthropophagi (headless people-eating monsters that feed through mouthfuls of teeth in their chests), so it's not sunshine and roses. Ok, guys! Have you read either of these? (Link to your reviews!) Any other creepy horror-esque novels I should read? Oh, I've been wanting to read The Name of the Star! One, just because I love the cover (I do judge a book by the cover sometimes...) but I think the story sounds really cool. 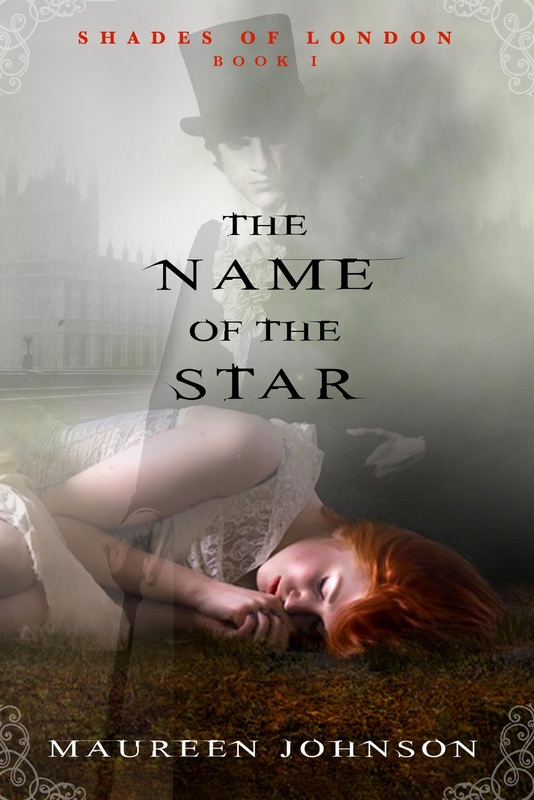 Well, you know I read THE NAME OF THE STAR (and loved it to pieces). Donna, I'm amazed you've never read 13 LITTLE BLUE ENVELOPES (or the recent sequel). Maureen Johnson rocks. But then I've never read THE MONSTRUMOLOGIST. You make it sound compelling. Another book to add to the TBR list, for sure.